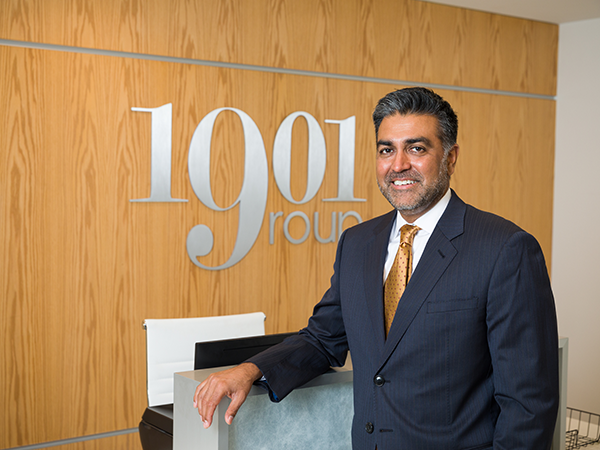 Company’s expansion in two locations to bring 805 jobs to Va.
1901 Group's CEO Sonu Singh. IT contractor 1901 Group announced Thursday it is bringing 805 new jobs to Montgomery and Fairfax counties over the next three years. The company plans to invest $4 million to expand its Enterprise IT Operations Center in Montgomery to 40,000 square feet and create 580 new jobs by 2021. The company also plans to expand its corporate offices in Fairfax, creating 225 new jobs. 1901 Group provides cloud, cybersecurity and enterprise-scale managed services to transition clients to hybrid cloud solutions to improve performance and reduce costs. Virginia will support the expansion with funding from the Virginia Jobs Investment Program (VJIP). For the Montgomery expansion, the 1901 Group is eligible to receive $700 per new net job associated with the project, up to $406,000. In Fairfax, the company is eligible to receive $700 per net new job created, for up to $157,500. VJIP funding is paid after net new jobs are on the payroll for at least 90 days.